Here we are at the last Oh Scrap! link up for 2018. I want to thank all of you who show up every week to either link up your scrappy projects or to explore all the scrappy inspiration that gets shared. I love our little scrappy community! I have been working on setting these scrappy Splendid Sampler blocks I finished back in 2017. I have finalized the setting and have been busy with quilt math and sewing all the bits together. I was worried I would not have enough of the blue for the entire background so I pulled a green for the center design. Does this photo look a bit awkward? Well, that is because for some reason I ended up laying out the blocks so the quilt is on my design wall horizontally. It makes for some confusion as I sew it but there are so many pieces, I didn't want to take the time to put it up there correctly aligned. I thought I would share a nice little trick. I use my hera marker (every quilter should have one) and a ruler to mark the blocks on the horizontal sashing with little creases. Then it is really easy to pin the next row and align the vertical sashing to those marks. You end up with a nicely aligned sashing! And I hope that 2019 is a wonderful year for us all. **This post contains affiliate links. I appreciate the support. 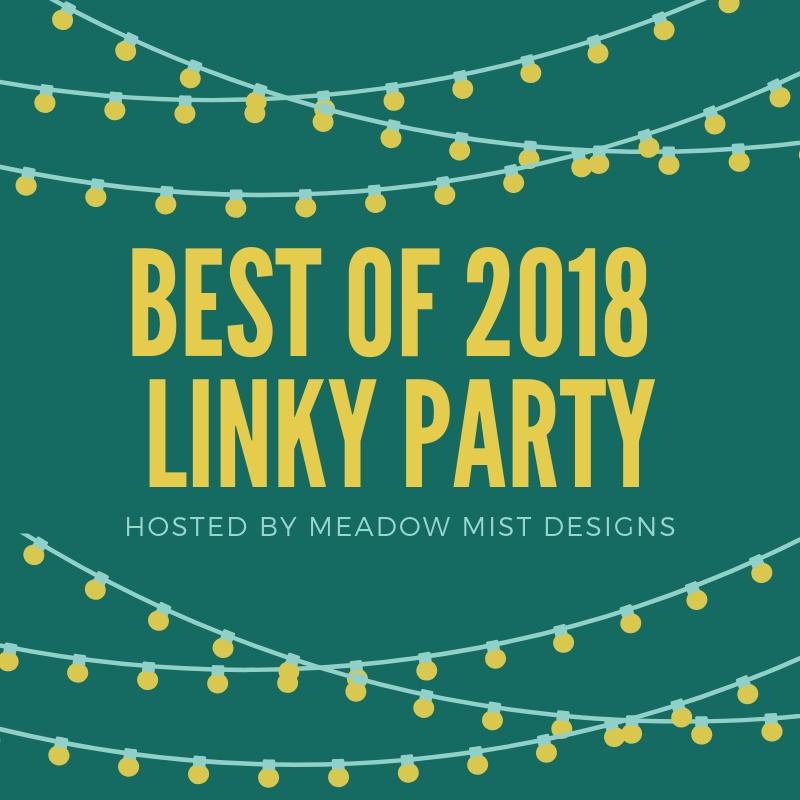 For the last four years, Cheryl over at Meadow Mist Designs has hosted the "Best of" blog party. I always enjoy to look back at all of my posts for the year and pick out some favorites. The quilt finish with the most views this year was my scrappy Kaffe Fassett bowtie finish. The blocks were made as an Rainbow Scrap Challenge quilt. I had varying quantities of each color group so I decided to get creative with the layout. This quilt is a queen size and very similar to the Plum and Gray Bowtie quilt I made earlier in the year. My favorite finish and the quilt that received the most comments in 2018 was my values quilt. It was so much fun to make and I love the way it turned out. It is also a favorite when I bring it out in my Trunk Show Presentations. My most active posts are almost always on Sundays when I host Oh Scrap! I so love to see everyone pop in to see all the scrappy projects that are linked up every week. There is so much inspiration and support. This string quilt is another of my favorite Scrap quilts I made in 2018. I am looking forward to seeing what quilts I create in 2019. You know many of them will be made from scraps and their main theme will be lots of color! 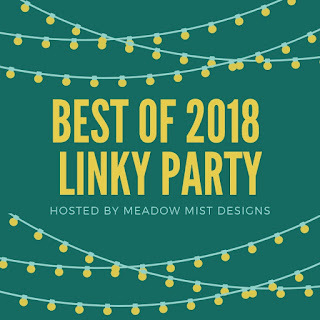 I hope you are able to check out all the posts of other bloggers sharing their "Best of" over at Meadow Mist Designs. A Big Thanks to Cheryl for hosting. It was fun to travel back through the year. The end of the year is coming up quickly. I have been working hard to clean up my sewing room and finish as many projects as possible in 2018. I finished up the last block on my postage stamp quilt. This block was in an area of the quilt where a lot of colors come together. Once I got it up on the design wall in its place, it looks like it is going to fit in just fine! In fact, look at what is all sewn up and waiting with its backing for me to quilt it up next on the longarm. I can't wait to show you this one. I think I have finally decided how I am going t quilt it so we are all going to have to wait and see how it turns out! I had a bunch of leftover 1.5" squares so I have been slowly sewing them up into four patches. I will just toss them in my orphan block suitcase for later use in a scrappy quilt. No use wasting all those cut pieces. Now I find myself with two empty design walls. So on the small one, I have put up my Sew Kitschy paper pieced blocks. This wall hanging is going in my kitchen. I really want to create a fun pieced sashing but I am limited on size. It will be a project for this week. And on the bigger wall, I will be starting to lay out my Splendid Sampler. I still need to make about a dozen blocks but first I need to decide on a layout. That will help me know for sure what I still need to make. This one will take a while I fear. Now, one final thing....InLinkz has just released a new link-up format. I have no idea how this is going to affect our Oh Scrap! link up. You might need to sign up or create an "account" the first time you link up. It will be a new experience for everyone! I am not even too sure what the link up will look like or if what I did will even work! Sometimes, it just takes stepping away from a project and a willingness to change directions. I decided to give up my staggered block design and just alternate my 16-patch blocks with a framed fishing themed block. I wasn't sure I was going to have enough of the tan solid but after a considerable amount of math and a bit of extra piecing, I made it all work. I am fairly pleased with how it turned out. It definitely burned through a lot of unloved scraps and fabric. And I know some fisherman will love it! I have already finished up the backing and hope to get it on my quilting frame soon. Maybe I can squeak out one more finish this year! Look what Santa's sleigh delivered to me today! 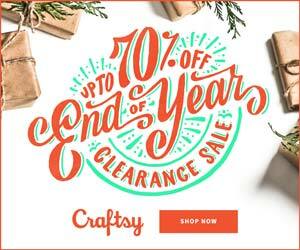 I recently shared a great sale going on at Connecting Threads. I took advantage of the sale and picked up a bunch of 4 yard cuts for backings. As you can see, I picked up quite a rainbow of fabrics. And not a one of them was over $5/yard. The sale is still going on if you want to stash away some fabric for 2019. I am sure you will be seeing these fabrics appear in my quilts soon! This post contains affiliate links. I appreciate the support. I have almost finished all of the brown and green 16 patch scraps and I need to make some layout decisions. This is one of my favorite steps to quilting. As I was making the blocks, I have been sticking them on my design wall in a horizontal staggered design. I have since decided that I like this vertical layout a bit better. Now to go to my stash and decided what to use in the alternate blocks. And when I go to my stash for a scrappy quilt, I am usually looking for those opportunities where I can get old fabric out of my stash! Over a decade ago, I had collected these fish themed fabrics for a project I never followed through with. These definitely need to go! And then I thought of these last four fishing panels I had stuffed in a corner. Maybe I can use these too. I also found a solid tan that I knew would work for the outer edge and the binding - I had about a yard on hand. Time to cut all of the pieces and put them on the wall. Okay, maybe I need to rethink this a bit. After a bit of brainstorming, I decided to use the tan fabric I had set aside for the binding and framed up some of the darker fish fabric squares to try and subdue the chaos. I think it worked a bit. I haven't done the two lighter fabrics yet as I was hoping I could get away with leaving them big. Trimming them down and framing just creates more scraps. So I am stopping here for now and coming back to this at a later time. Once I decide whether to frame or leave unframed, this one is getting sewn and I am moving on. I am just popping in this morning to bring to your attention a great sale at Connecting Threads. You just can't beat the prices! And I even thought of you first before I placed my order! Where is my Visa card?